Battle Honours: Sicily 1943, Salerno 1943, South of France 1944, Aegean 1944, Falkland Isles 1982. Equipped with Sea Vixen Mk 1's 1961 to 1964. Equipped with Sea Vixen Mk 2's 1964 to 1972. 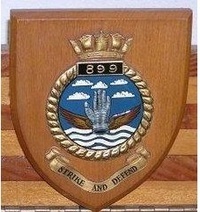 Embarked H.M.S. Victorious August 1963 . Sea Vixen Mk 1. Embarked HMS Eagle December 1964 equipped with Sea Vixen Mk2 aircraft. 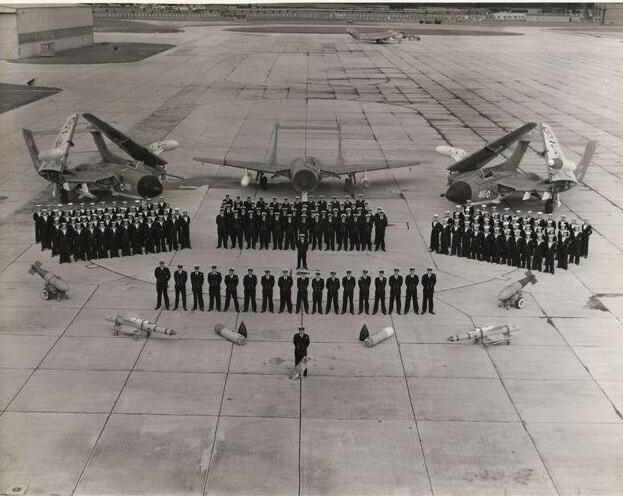 Last Sea Vixen Squadron at sea. Disbanded 23 January 1972 at RNAS Yeovilton. Contributors: Cdr (F) DMAH "Shorty " Hamilton RN., Lt Jack "Bovey" Cary RN.